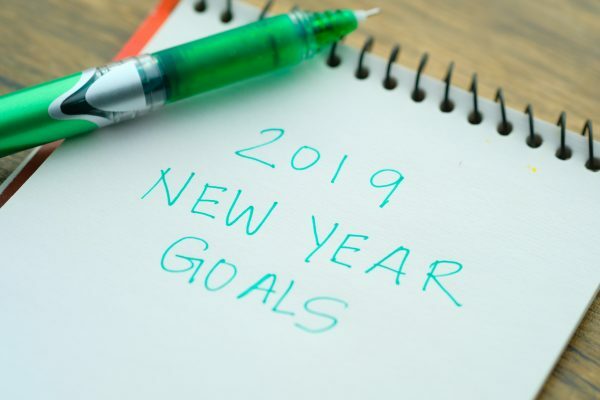 As 2019 kicks off, many of us are trying to stick to our New Year’s resolutions. To help us keep them this year, we took three popular New Year’s resolutions and put a green twist on them. Try out our suggestions, and they might just help you stick to your goal and make the world greener without even realizing it. In a 2015 survey by data analytics company Nielsen, the most popular New Year’s resolution was to stay fit and healthy. But let’s face it: it’s a lot easier to say you’re going to hit the gym every day than it is to actually do it. A more realistic way of maintaining a healthy lifestyle is to integrate your new and improved practices into your current routine, rather than creating a completely new one. So, instead of committing to going to the gym every day, try occasionally replacing driving your car with riding your bike or walking. It’ll keep you moving, and help the environment too. Likewise, instead of “dieting,” get the foods you love from local and organic sources. Locally grown produce uses significantly fewer resources than foreign or mass-produced goods, and organic goods are produced without chemicals or preservatives. It’s better for you, and supports the farmers in your community. 25% of participants in the Nielsen survey said their New Year’s resolution was to spend less money. Luckily, saving money goes hand-in-hand with going green. Programming your thermostat and turning off lights are money-smart savings strategies for your power bill. Using natural alternatives  like lemons and vinegar as cleaning agents is cheaper than buying brand-name disinfectants with harsh chemicals. Buying shampoo and conditioner in bulk will cut down on plastic, spending, and trips to the store. Even opting to  buy greener, smarter appliances  will reap savings down the road. If you’re looking to really make a savings statement, consider driving an electric car. Every time you need to refuel your car, you can simply recharge with electricity instead of spending money on gas. Not to mention Alabama Power customers get a monthly rate discount on power usage during the EV charging period of 9pm to 5am. If you’re in the market for an EV or hybrid, check out our list of top 10 models to look for this year. Your wallet—and the environment—will thank you. Looking to bring order to chaos this year? We can all agree that letting old mail pile up in random corners of the house isn’t the best way to stay organized. Paying your bills online is an easy way to declutter and save trees. If you’ve already chosen to subscribe to paperless billing and want to take it to the next level, sign up for a service that will stop junk mail for good. Once you’ve mastered reducing paper waste, try reusing everyday items to organize your belongings. Use old glass jars to store office supplies, or binder clips to keep all your electric cords in order. Are you trying to tidy up, yet struggling to part with all the artwork your kids have brought home over the years? Instead of choosing between storing and tossing their endearing stick-figure drawings, take photos of them and compile them in a digital album. Then, recycle the originals. Reducing, reusing, and recycling will get you in a cleaner—and greener—state of mind.